I want to help in anyway I can, just ask and I'm all yours. I provide for all types of event photography but specialise in awesome documentary wedding photography in and around Dorset but often venture to Devon, Somerset & Hampshire. I take pride in being part of your special day and have fun whilst doing so, I have a relaxed bubbly friendly approach with photo’s that reflect that. Guests often think I am part of the family or a friend as I blend in and mingle so well to capture your day in its true glory. I only shoot professional quality photographs, so with that in mind it’s only correct to use pro grade camera equipment. I use Canon full frame camera’s along with professional L-Series lenses to help capture that crisp sharp candid shot. I have set myself strict rules when it comes to memory cards and photo backups all to ensure the safety of your precious photo’s which are kept safe even till after you have them in hand. 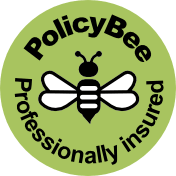 This also leads me nicely to my next point, I have full professional public liability insurance and professional indemnity cover all to help you have peace of mind. I absolutely love what I do and it’s important to make sure I continue to as I feel it really shows in my images. There is no better feeling than getting feedback from people who appreciate your photography, being able to provide those candid ‘in the moment’ photos is an honour. To me, photography should be fun, relaxing & enjoyable! Which is why I feel completely at home when taking photographs, it feels natural which I believe helps me get those “One in a million” shots. Through experience, I have also learnt that wedding photography means being more than just a photographer. Being able to interact in the correct manner towards not just the family but with friends, guests and children has a dramatic rewarding result to the photos. The right camera that puts a world of possibilities at your fingertips. To get that once in a lifetime shot is made easier by using the highest quality and most reliable equipment, so of course, I only ever use professional grade equipment. I use two Canon full-frame digital camera’s along with Canon’s professional L-series lenses to capture crisp sharp shots. I set myself strict rules when it comes to precious wedding images. Memory cards come out of the camera and placed in a secure box the second I finish and photo backups happen the second I get home to three separate hard drives all to ensure the safety of your precious photo’s which are kept even till after you have them on hand for at least one whole year. Get in touch & save the date. Have peace of mind knowing they'll look incredible. Get in touch to see how I can make your special day even more unique! I have been lucky to be the photographer thats “In the right place at the right time” over the years which has resulted in my work being published in numerous places! Allow me to make your business glow in light like never before, with a large Facebook following expect to gain some Likes yourself from my own page! I can capture your event in a relaxed style that I believe truly brings out the real emotions from the day. You’ll be amazed at what photo retouching can achieve! Enter to win amazing canvas prints & special offers. Success! Thanks. I look forward to having you on board.